Are you looking to establish a business in Somerset Center? Is an S Corp or an LLC the right choice? For over 118 years, Jackson Eaton-Gordon & Associates, PLLC has helped local entrepreneurs navigate the complicated tasks involved when setting up a business entity in Somerset Center. There are steps that must be followed that require accuracy and adherence to deadlines. The experienced lawyers at Jackson Eaton-Gordon & Associates, PLLC specialize in making sure all is in place when you open your doors as a new business. Call (517) 234-1981 to schedule a consultation with a business law specialist. If you are a small business owner in Somerset Center, chances are you are a sole proprietor. 73% of the small businesses in the United States have been established as sole proprietorships. These owner-operate businesses are quick and easy to establish, and do not require filing with your state as a business entity. 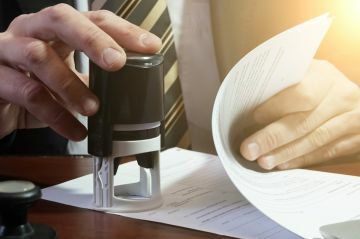 Whether you Own a Sole Proprietorship in Somerset Center, an LLC or a Corporation, there are other considerations that must be made regarding your company in the event that you are no longer to operate the business whether temporarily or permanently. How will your business be divided upon your leaving? There are hundreds of farm businesses in Michigan. If you own acreage and pay taxes, you are probably qualified to start and run an agricultural business in Somerset Center. Farming businesses can include profitable commodities such as raising livestock, growing crops or even agri-tourism. If you are considering starting a farm business, Jackson Eaton-Gordon & Associates, PLLC can help. First, we'll check with the local zoning regulations to make sure you are eligible. From there, we will help you establish a business entity and file necessary paperwork. Call (517) 234-1981 for more information. Jackson Eaton-Gordon & Associates, PLLC helps existing farms in Somerset Center preserve their assets as they are passed from one generation to the next. Have you thought about how your business will operate without you some day? Do you have designated successors? The business law experts at Jackson Eaton-Gordon & Associates, PLLC can assist you with navigating the legal maze that many business owners face as they plan for the future of their businesses. Call (517) 234-1981 and speak with a law expert who can help you keep it in the family and avoid probate in Somerset Center for your family farm.